Playwright Zayd Dohrn talks China, politics, and connecting across cultures. 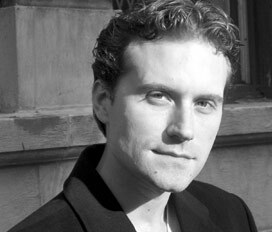 Zayd Dohrn’s plays include Want (Steppenwolf), Sick (Berkshire Theatre Festival), and Reborning (The Public/SPF). 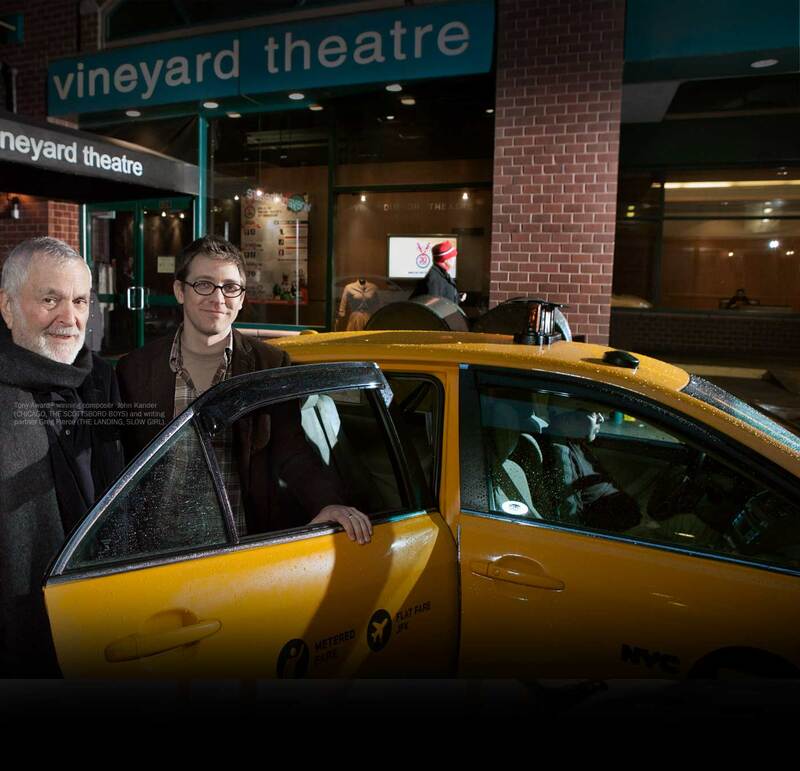 He was a Lila Acheson Wallace Fellow at Juilliard, where he twice received Lincoln Center’s Lecomte du Nouy Prize. Born and raised in New York City, Zayd spends part of each year living in China with his wife and their two children, and currently teaches playwriting and screenwriting at Northwestern University. Zayd recently spoke with Co-Artistic Director Sarah Stern from his home in Chicago. OUTSIDE PEOPLE is set in present-day Beijing, a city where you have been living on and off for many years. Can you talk about the impulse behind the play for you? I’ve been going to China for more than a decade, since I met my wife, Rachel [DeWoskin], who had lived there for a long time. Rachel writes about China so I never really thought about writing about the place, but after going there for a long time, something shifted. When you first go to China, you notice how different it is: the language, the food, the way people interact, the buildings, everything. But returning over the course of ten years, the weirdness starts to fade; you feel more comfortable, learn a bit of the language, of the culture, and you feel like you know it better. The play came out of my thinking about whether that was a true feeling, the feeling of starting to know a place and people that different. In other words, you never really know a place if you don’t grow up there, if you don’t know all the background. You always feel a certain foreignness, and I started to get interested in that foreignness. That sense of foreignness is true for each of the characters in OUTSIDE PEOPLE, most obviously Malcolm, who is American and who we meet upon his arrival in Beijing. For me, the play is about China, obviously, but also about being an outsider, and the way that we all are outsiders, in some way or another. Malcolm is someone who feels out of place in his world, and goes across the globe to find a new one. I think, in a way, it’s what we all try to do in our lives as we grow up, and find partners, and have kids — we’re building a world that works for us. Do you remember your own first week in China? Oh, vividly. I remember it better than I remember my last week in China, which was a couple months ago. The first scene in the play comes out of my actual experience, which was going straight from the airport to a bar, and meeting friends of Rachel’s. It was the middle of the night, and I had been awake on an airplane for 14 hours. The street scene outside was so dazzlingly unfamiliar, and I was kind of fading in and out of consciousness. It was a table of Chinese and Westerners, the conversation was happening in two languages and I was missing 95% of it. I was so culture shocked and disoriented, the music was weird, we were drinking Yanjing beer which was something I had never seen before, a fistfight started outside, it was just this unbelievable cultural assault. But thrilling at the same time. I remember feeling excited even as I was half asleep. The play opens a window on how rapidly china is changing. how do you see what’s happening there now? China has so many contradictions, anything you say about it as a generalization, the exact opposite is also true. It’s supposedly a Communist country, but the rapid modernization has changed everything there; issues of equality and economic justice have become very fraught. A few years ago the Communist party voted for the first time to allow capitalists to become members, and the cognitive dissonance of that idea doesn’t even register because nobody thinks that the party is Communist in a Marxist sense. It’s explicitly a country that has given way to the free market and is enjoying a kind of wave of prosperity. At the same time, it’s very precarious: the economic growth that has suddenly made Beijing a world-class city exists simultaneously with a countryside where there’s still unbelievable poverty and deprivation. Did you set out to explore political questions in OUTSIDE PEOPLE, or did they emerge from the more personal aspects of the story? One of the things that is so obvious when you’re in China, is that every personal interaction and relationship and space has political resonance. In a lot of ways it’s still a totalitarian state, and that makes personal things feel fraught with other significance. It’s not like the government interferes with what you do on a day-to-day basis, especially as a foreigner, but it always feels like people might be listening, or they care what you’re saying, or you might get somebody in trouble by saying the wrong thing. So I think the political definitely emerged out of the personal, but in China those two things always feel intertwined. Your parents, Bill Ayers and Bernadine Dohrn, were political activists. Do you feel like the intertwining of personal and political is something that you grew up with? I think it is. In my family, the personal and political were always the same. Every dinner conversation, every interaction with friends, every conversation about the world, or about food, or about anything else had a kind of political dimension. My parents were interested in that, so I think I can’t help but see that aspect in things that happen. My relatives, my friends, they’re all having a constant conversation about what the world should be, and what it could be. So, for me, I guess I always end up thinking about not only that question, but also the pitfalls and dangers of trying to build new worlds like that. You and your wife are currently writing a drama series about China for HBO, inspired by her memoir, Foreign Babes in Beijing. Can you tell us a bit of her story? Rachel went to China after college to improve her Chinese. She wasn’t an actress, but ended up getting cast as the lead in a soap opera called “Foreign Babes in Beijing”, a sort of morality tale about the corrupt influences of the West, and also about the liberating and exciting possibilities of the West. The show was watched apparently by 600 million people. Her story seems strange to people here, but almost every ex-pat we meet there says, oh yeah, something similar happened to me. Being in such a tiny minority like the ex-pat community — even though there are now 500,000 ex-pats in China — people are in high demand in a weird way, as workers, as friends, as language tutors. People end up doing all sorts of things outside their comfort zone. You write both plays and screenplays. What are the most fundamental differences between writing for the two mediums? It’s funny, I’m working on the HBO series about China while I’m writing this play, so I’ve actually had to think a lot recently about the differences. One fundamental difference is just the practical realities of the mediums and how they impact the work. Being a screenwriter, you never own your own ideas, never own your own work, so there’s always something slightly distanced about what you’re doing. Writing plays feels a lot more free. Another difference is just about intimacy and scale. With OUTSIDE PEOPLE, I’ve been thinking a lot about how to suggest the big things going on in a very intimate story. In film, you go big before you go small, and in theatre you go small in order to go big. That compression for me is what writing a play is all about.